Use Estate Planning to Ensure Your Family Isn’t Stuck Paying For Your Funeral | Law Offices of Laura Croft, Esq. 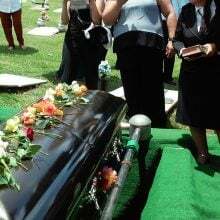 ​If you have any type of insurance to cover your funeral, make sure your family knows about it! These policies are often never cashed in because the family didn’t know they existed.